A modern reproduction of a classic dining chair, this Manta chair from Kardiel is made from black walnut and has a gorgeous hourglass shape for your dining room. 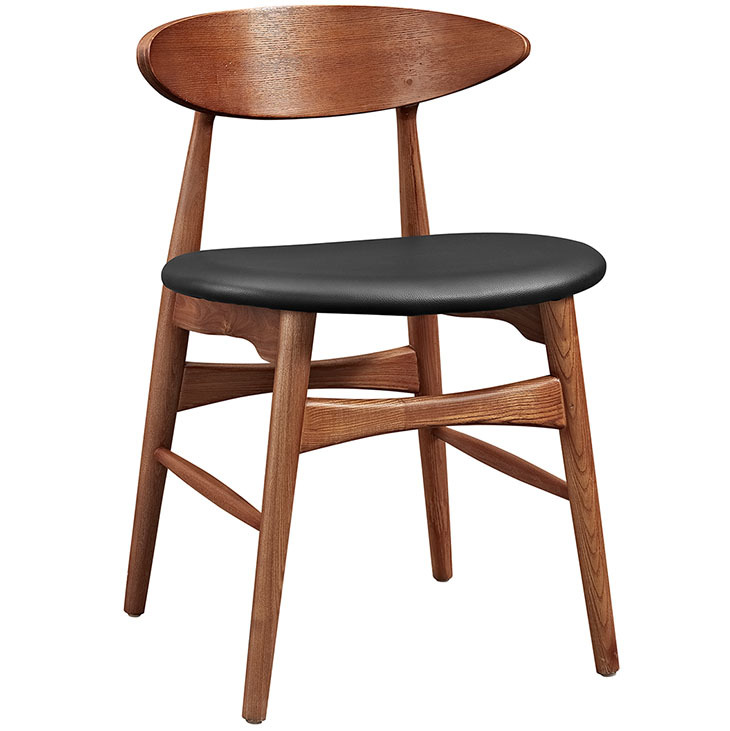 Another dining-room classic, Modway’s Ebee chair, adds a touch of black walnut to your space while also giving a touch of that Danish design flair. Pandora side chair, Armen Living. Similar to the Eames Eiffel chair, the Pandora dining side chair is a great combination of wood, metal and upholstery while still maintaining a slight frame. 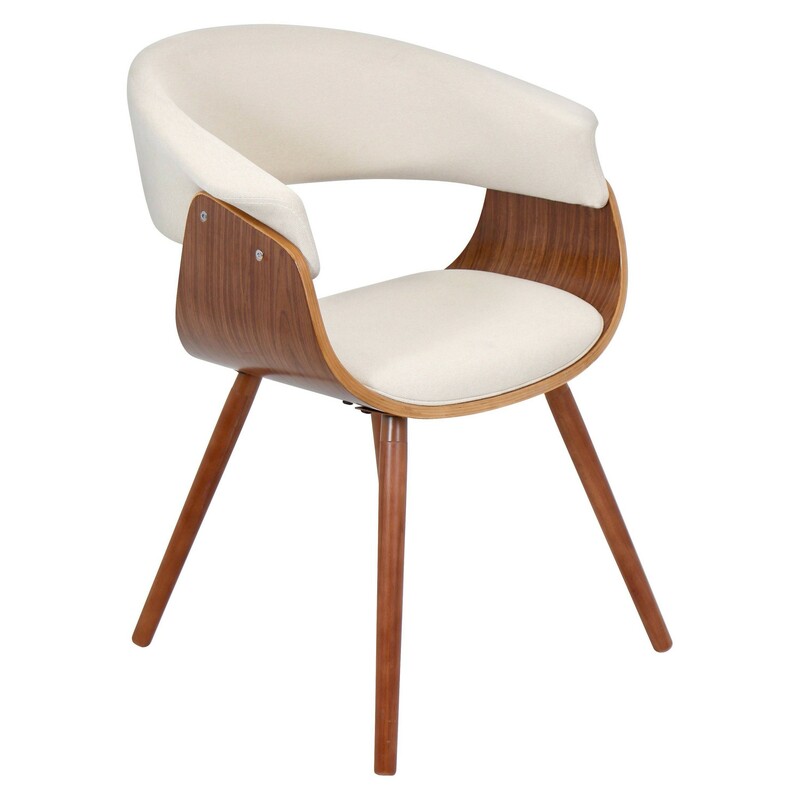 Phoebe dining chair, Armen Living. 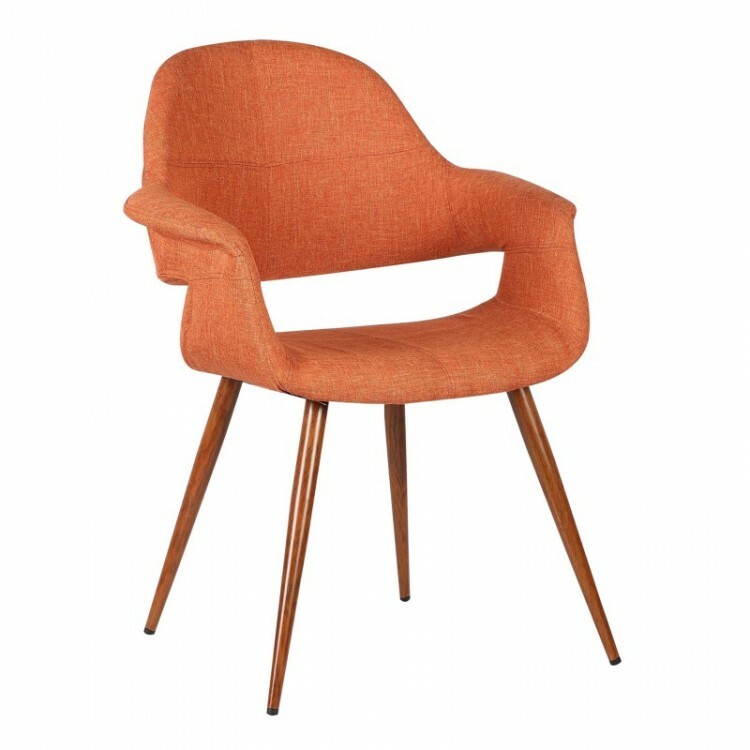 Beautiful orange upholstery, gentle curved arms and a slick cut out make the Phoebe dining chair a colorful, Saarinen-esque addition to your typical mid mod dining room, bedroom or home office. 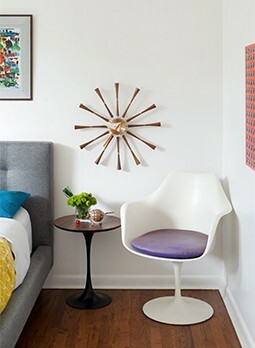 Vintage mod dining chair by LumiSource, Target. 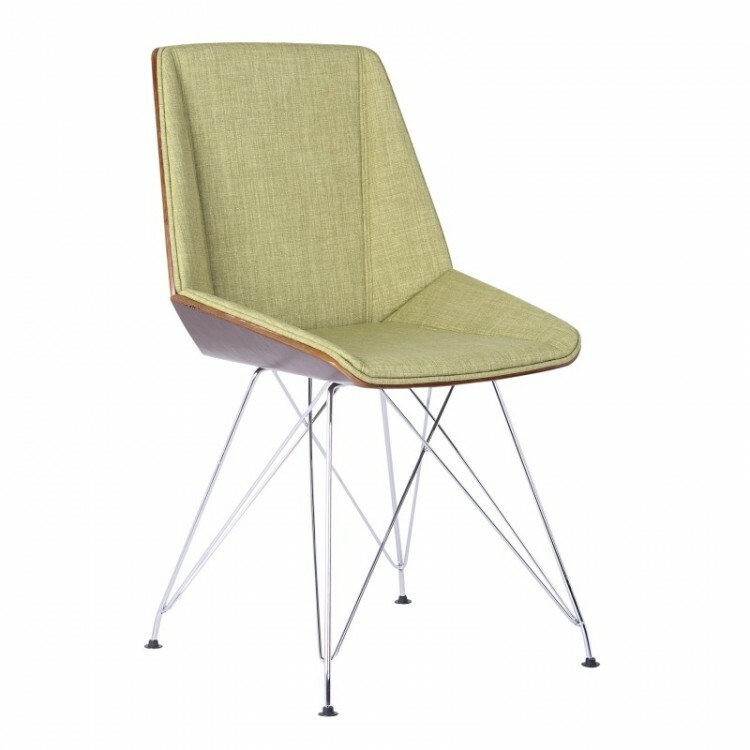 Similar in general silhouette to the Phoebe, this vintage mod dining chair from Target is a budget-friendly chair that has a great modernist look. 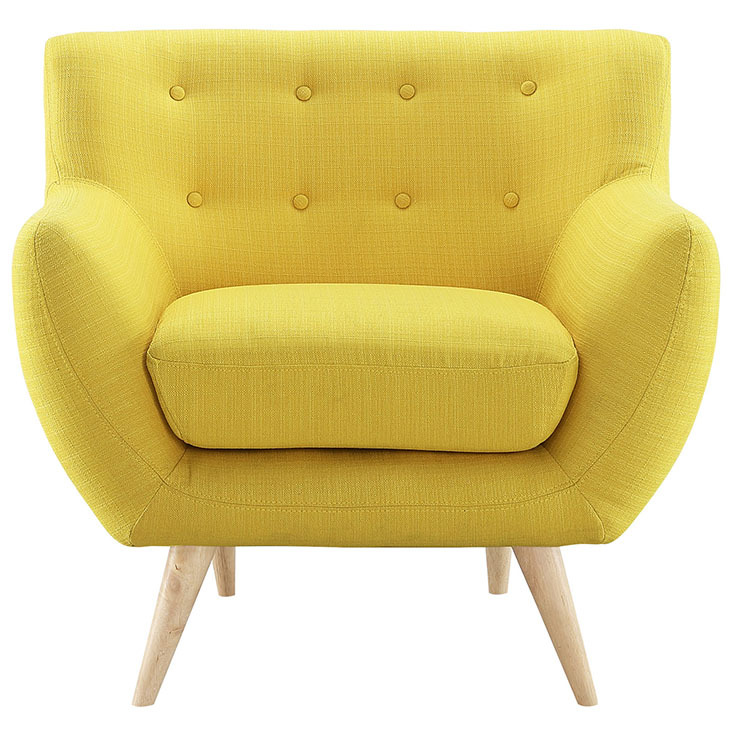 Outfitted with classic splayed legs and upholstered in fabric aptly named “sunny,” the Remark armchair is the perfect bold addition to your conversation pit or living room. Athena 07 lounge chair, Design Tree. 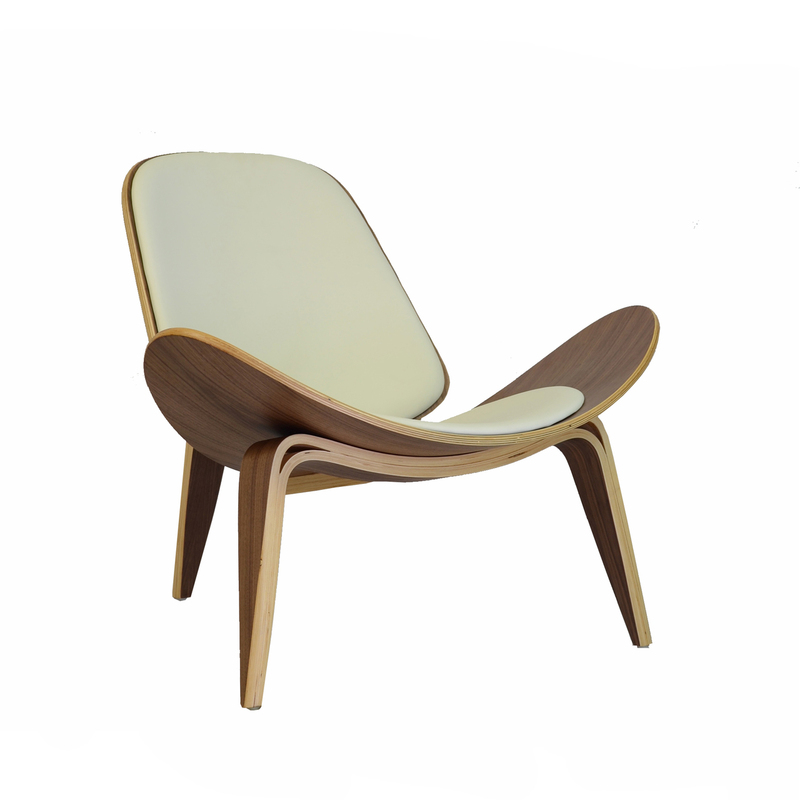 Designed after the Wenger Shell Chair, the Athena 07 lounge chair from Design Tree is a beautiful side chair for any room in your house. Cub chair and ottoman, Kardiel. If the Featherston Contour and the Selig Z Midcentury Modern chairs had a child, it would be the Cub chair and ottoman from Kardiel, a delightfully colorful and sleek lounge chair.